At the headquarters of the United Nations in New York, a public event is organized to honor and evaluate the Jewish rescue operations by the Albanian people during World War II. This activity is organized by the Albanian Mission in the United Nations (UN), the World Jewish Congress and the UN Initiative to educate the public about the Holocaust, gathered with the UN Civil Societies. On this occasion, the Albanian Ambassador to the UN, Besiana Kadare, said that "I am proud of belonging to the Albanian nation, who stood in the right side of the history at the right time by performing the right act". The Ambassador Kadare spoke of the time when Jews were persecuted throughout the continent but found salvation and peace in a small country, Albania, the only one where after the Second World War there were more Jews than before. "Until recently, the world knew almost nothing about Albania's efforts to save the Jews," she said, describing the ethical code of Besa and how this code works for Albanians. 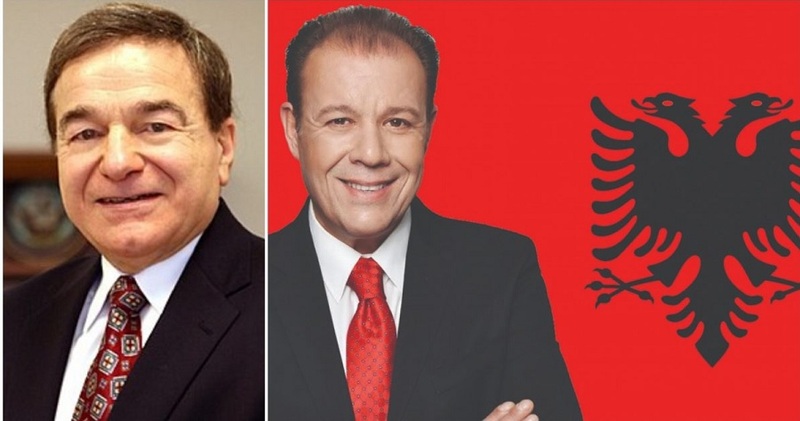 At this event, the first American-Albanian in the New York City Council, Mark Gjonaj and Joseph DioGuardi, sought the recognition of Kosovo from Israel as an independent and sovereign state. Gjonaj, in his address, spoke about the rescue of Jews in Albania and Kosovo, and that both peoples had a similar story. "I think it is time for Israel to recognize Kosovo, an independent and sovereign state," Gjonaj stressed in his speech. Meanwhile, Joseph DioGuardi said that in Albania there were only 200 families who saved Jews, while, according to him, all the rest was sheltered by Kosovo Albanians, and Albanians who lived in other countries. "Besa is not the attribute of the state, but of the Albanian people and tradition," DioGuardi said among other things, adding that "it is not right that Israel has not yet recognized Kosovo as an independent state." He stressed that he would personally strongly engage in recognizing Kosovo from Israel. On the other hand, the congressman Eliot Engel, chairman of the International Relations Committee at the House of Representatives of the American Congress congratulated the meeting. Talking only about Kosovo in this case, Engel, showed of how along with the President of Kosovo, Ibrahim Rugova, placed one stone at every Jewish cemetery in Pristina. Since the motto that prevailed at this event was "The World Needs the Albanian 'Besa' Today", United States ambassador to the United Nations, Jonathan Cohen said that "Albanians were distinguished among brave people who had a tremendous influence by protecting thousands in the Balkans, ensuring that they escape the horrors of the Holocaust. " However, Danny Dayan, Israel's Consul General, said that the Albanians should be proclaimed not as individuals, but as the "Nobles among the Nations" people. Present at this meeting were the representatives from Kosovo, Teuta Sahatqija, and the diplomat Ines Demiri, clergy of the three main Albanian religions, friends of Albania and Kosovo, and community activists. While speaking about the courageous and exemplary act of rescuing Jews in Albania during the Holocaust, Robert Singer, CEO of the Jewish World Congress, thanked the Albanian people for their heroic work, both then and now in the fight against hatred and anti-Semitism. He added that "the whole world needs Besa today". Dr. Anna Kohen, the Holocaust survivor's child, spoke about her family's experience during the Holocaust in Albania and how this story has influenced her throughout her life. But, Majlinda Myrto, whose family is prominent in the salvation of the Jews, said the concept of Besa, is the obligation that Albanians have to the friend and people in need. Among other speakers was David Estrin, who runs the organization "We Remember Together" which seeks to empower young people, community after community, and ensure #NeverAgain-Never. Also, part of this historic event was also a video clip from the movie "Besa", which appeared on this occasion to the audience.